I was ready to move on and talk about London Fashion Week only and then bam! 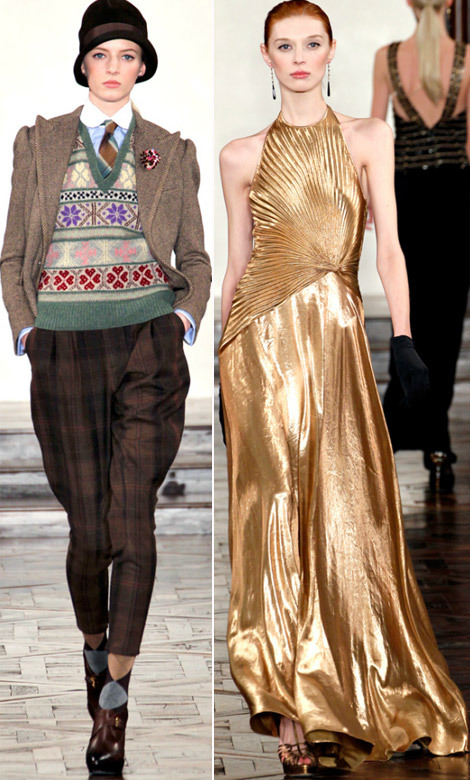 I remembered there was more than Marc by Marc Jacobs: I hadn’t said a word about Ralph Lauren’s Fall Winter 2012 2013 collection! And I really wanted to! Because although it was just one collection, it actually looked like two different collections on that runway! 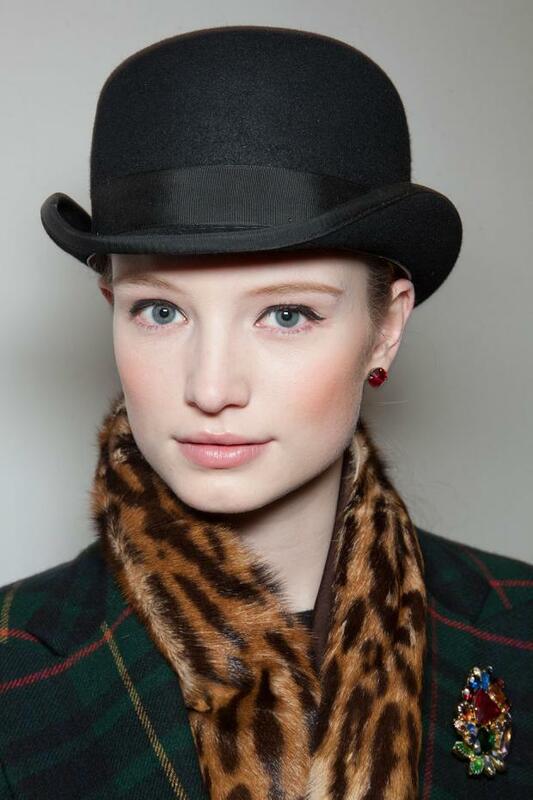 One collection that was very Downtown Abbey, as reported by style dot com: plaids, sweaters, high knee socks and cute little hats and one other collection that was very glam and Red Carpet inclined. As I’m sure Ralph Lauren tried to give his best interpretation of the season’s trends, but he ended up torn between glamour and English suit charm. And although the collection in its entirety was pretty, charming and really wearable, I felt it lacked cohesion and coherence. But that’s ok by fashion standards, it’s called diversity. Inspiration. Vision. Isn’t it?